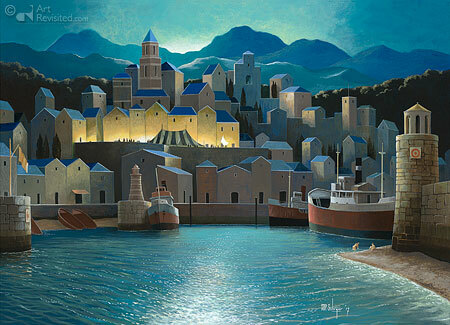 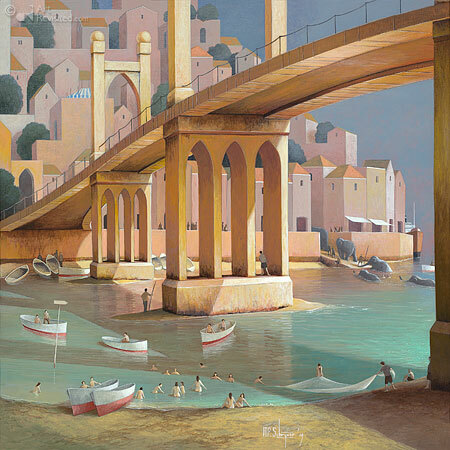 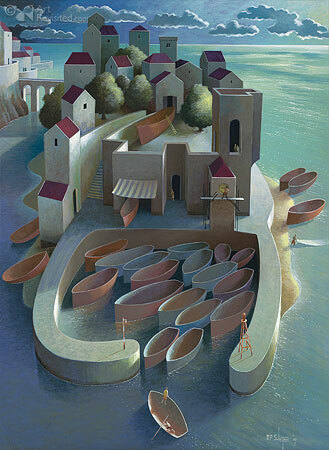 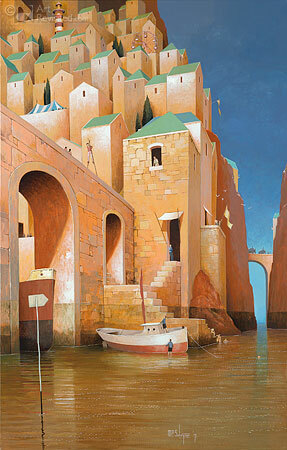 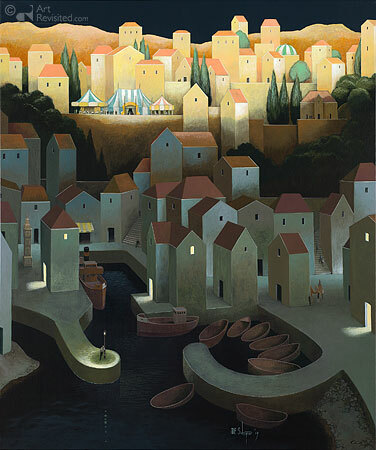 Michiel Schrijver (1957) studied at Camberwell School of Arts in Londen. 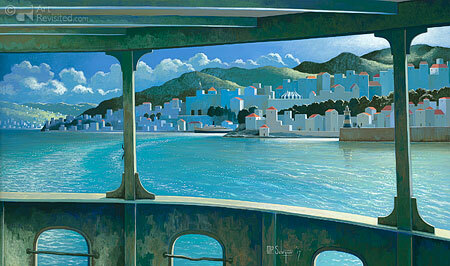 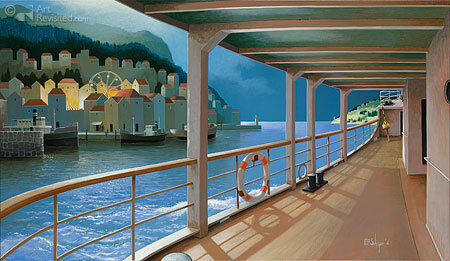 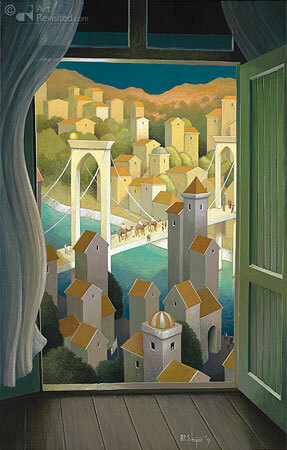 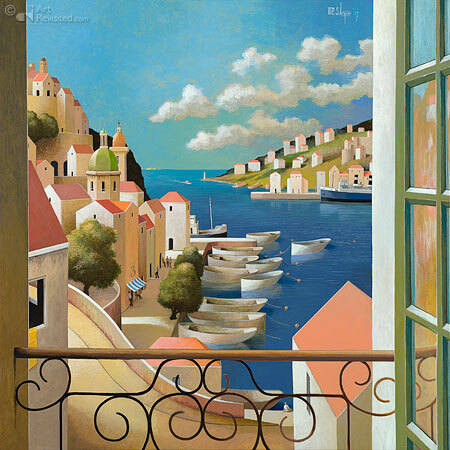 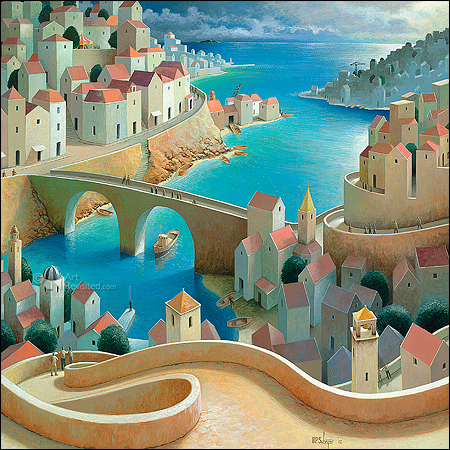 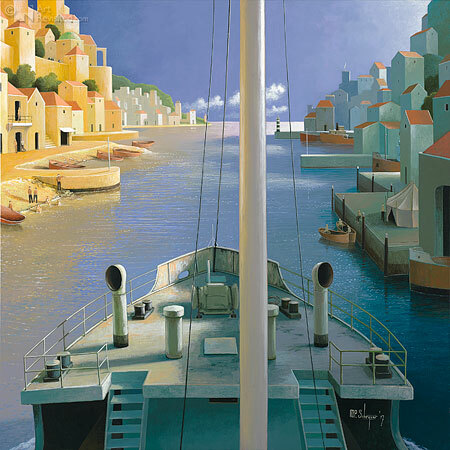 "Travel fuels the imagination" is a variant on an old saying which certainly applies to Michiel Schrijver. 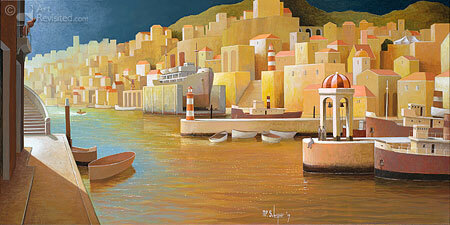 Painting is a form of travel for him, after all. 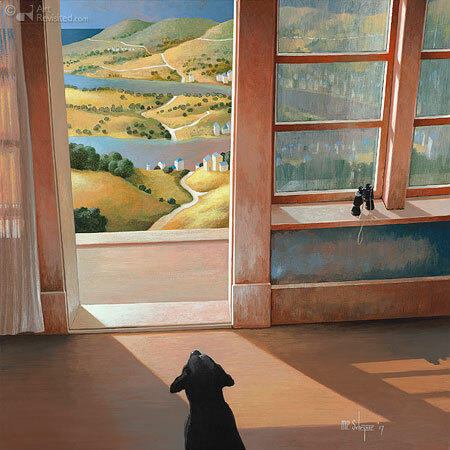 And the way it amazes him is a great motivation to paint. 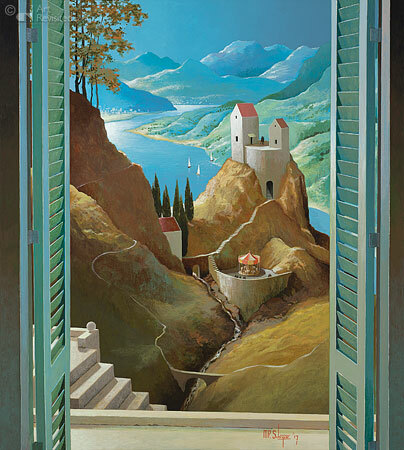 Amazement at everything he discovers en route in his inner world, because that is what appears in his paintings. 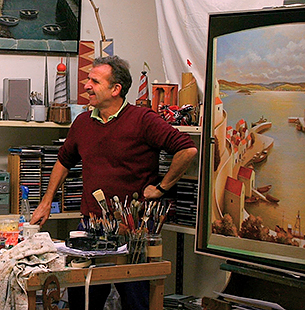 Sketch books full of ideas precede a painting, and that one sketch which can withstand the test of criticism will be captured on canvas. 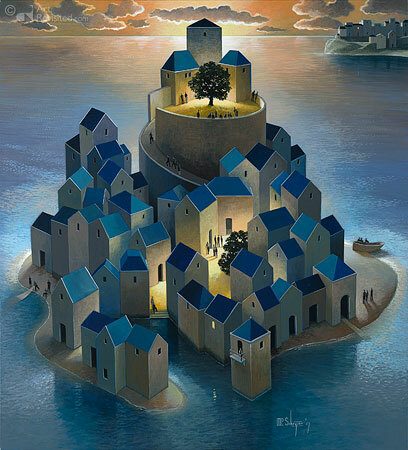 It is a world in which architecture plays an important role, and in which, above which or within which people can be found. 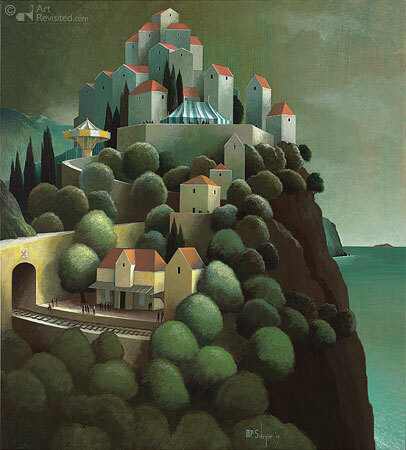 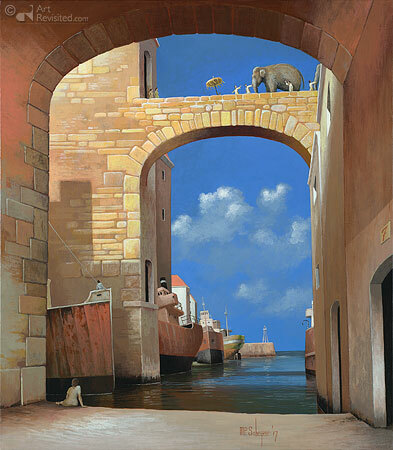 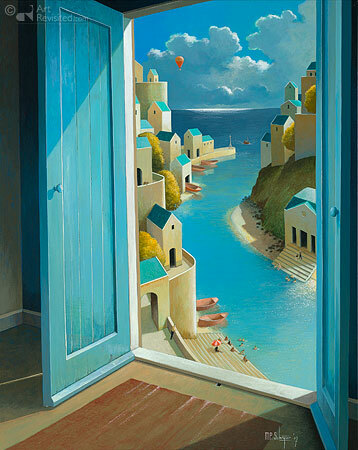 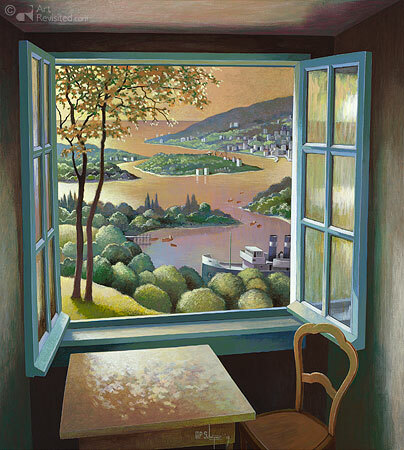 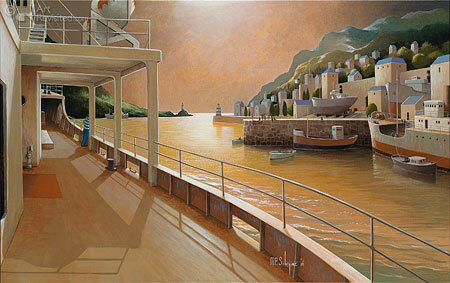 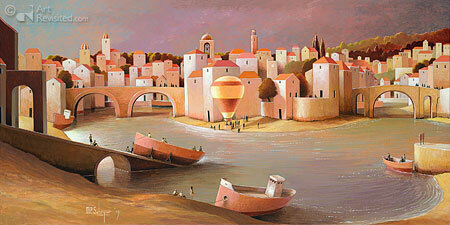 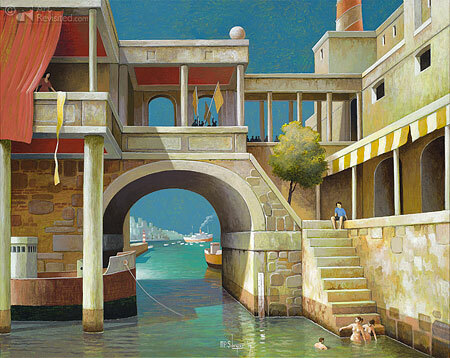 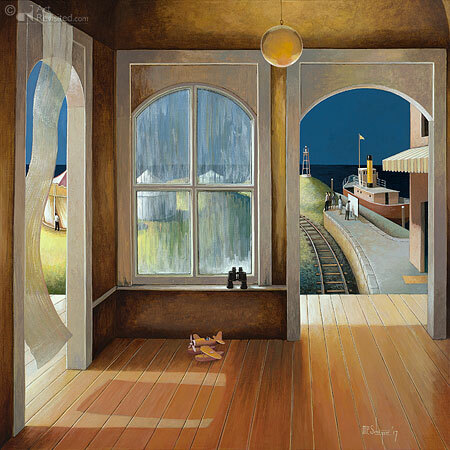 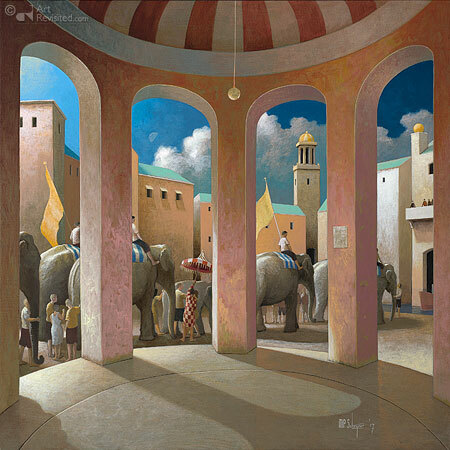 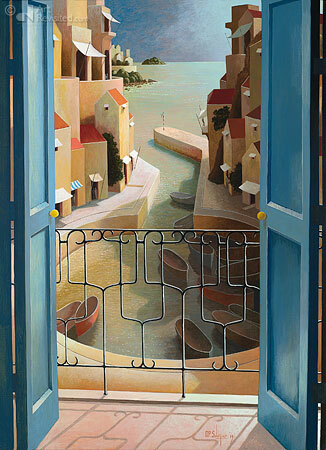 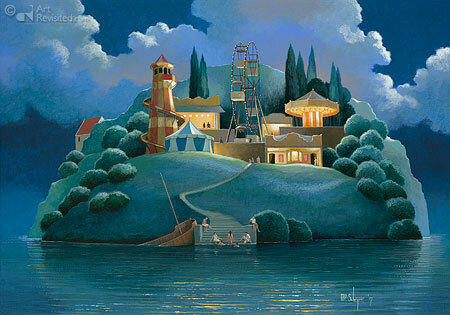 Michiel Schrijver's world does not exist, but is nevertheless very realistic. 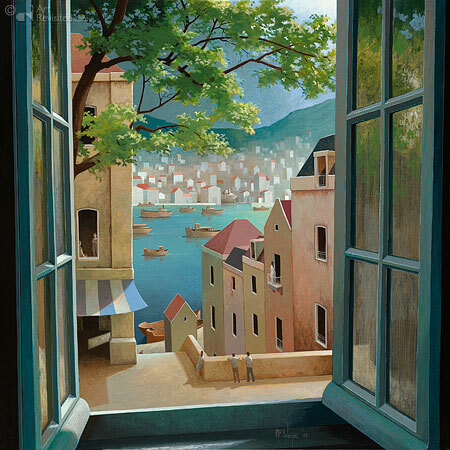 With a little imagination, we can enter houses, walk down the streets and wander from one painting to another in order to continue our journey. 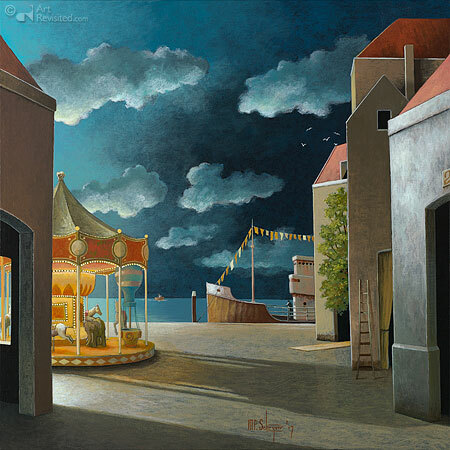 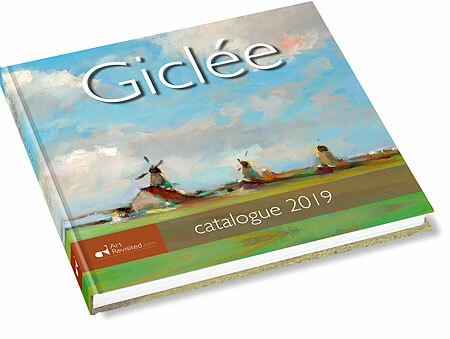 Schrijver's painted world is a world of desire and each painting is a stop along the way. 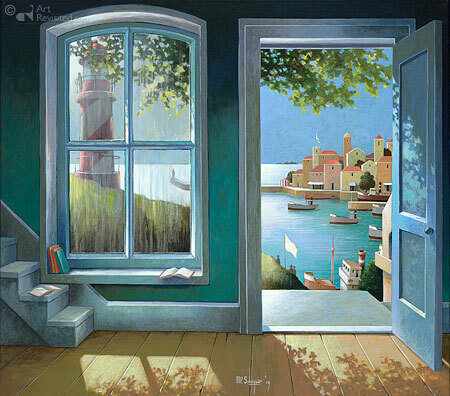 We pause for a moment, look around us, savour the light and move on.